Walden Security has posted job openings with RetirementJobs.com in the past, which means it has actively sought to hire and retain age 50+ workers. Please click the 'View Job Listings' link above to view active jobs, if any, posted on our site. interviewed as a pharmacist for a float position in a remote area.and low volume pharmacies, with over 25 years of perfect fast and precise performance was told too old to keep up at age 51 because might have to fill up to 80 prescriptions a day. My last position was filling over 350 a day every day. This from a 30 something regional manager. never mind i worked for them preciously with a perfect record and had references for other regional managers. while it used to be otherwise, walgreen shed many positions and employees in recent years. many long term employees were replaced with younger people, mostly working for much less money. at the same time, chances for advancement were greatly curtailed. The manager I interviewed with yesterday was very open about employing workers of all ages (over 21 due to state liquor laws). I noticed that there were a number of employees in the store who appeared to be over age 50. It appeared to be a very friendly and team oriented environment. Walgreens values age and experience, and hires seniors with the expectation that we have the work ethic and people skills the company needs. Age appeared not to be involved at all in the hiring process. Not even a hint of age bias was noted in my interviews or any communications with the company during the process. Excellent experience as an employee thus far. They fired me for no reason after I worked for them from April 1, 2018 to May 22, 2018. I was qualified for a much better position. But at 57 they put me in the hardest job they have of unloading trucks by hand and moving everything into the store to restock, when no one else doing the same job was older than 30. Treating their associates with no respect and pushing them with company expectations that people canot possibily accomplish. Although my employer hires older associates but they are scheduled either for over night stock or second shift which means nights or weekends. And they do not promote the persons over 50. They have the most long term employees of any place I have worked. 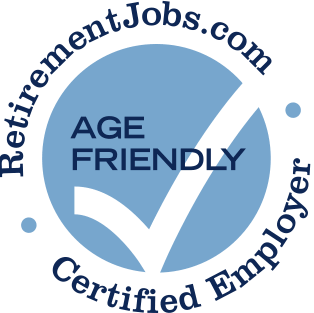 I rated a 3 because while they are age friendly in hiring, they are not so age friendly in promoting older workers to management positions, even when they are qualified. They tend to place younger (20 something) inexperienced workers in management positions with little or no training, which in turn destines them to failure in most cases. There are many associates over 55 employed at Walmart. They hired me and give me opportunities to advance even though I am over 55! No age discrimination here! I was interviewed but not hired. I have no physical limitations, take no medications, and never admitted to a hospital. I am college educated and have worked in electronic manufacturing for over 30 years and have held manager positions.